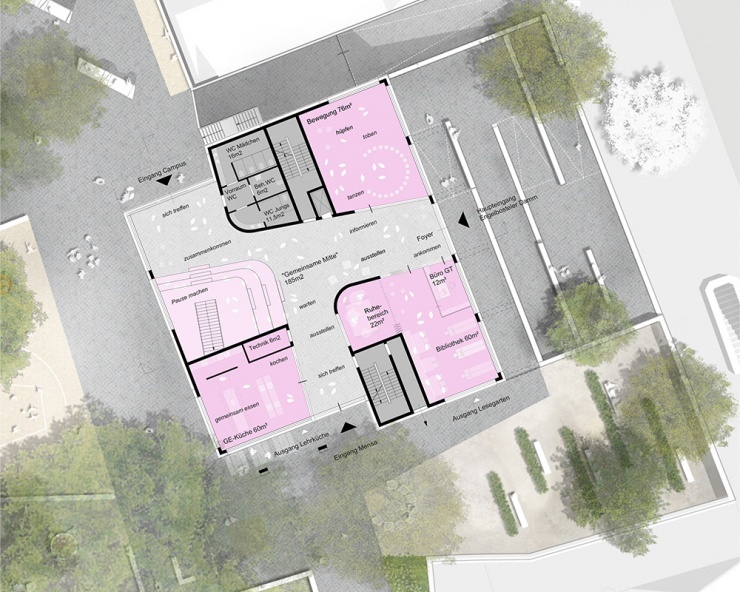 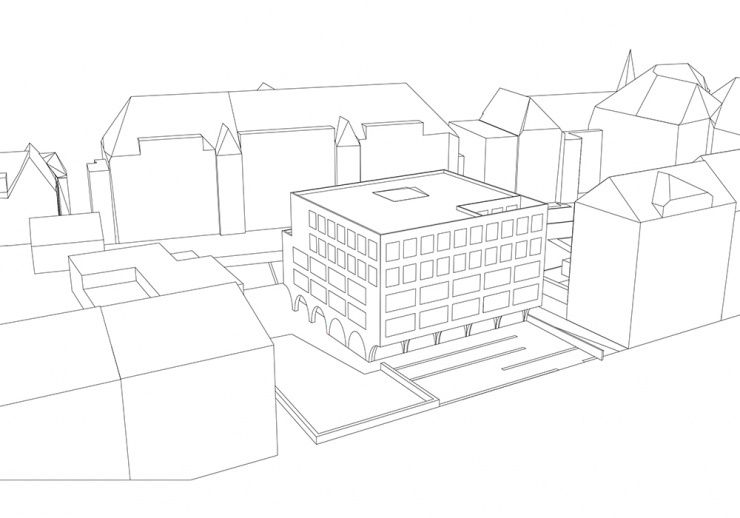 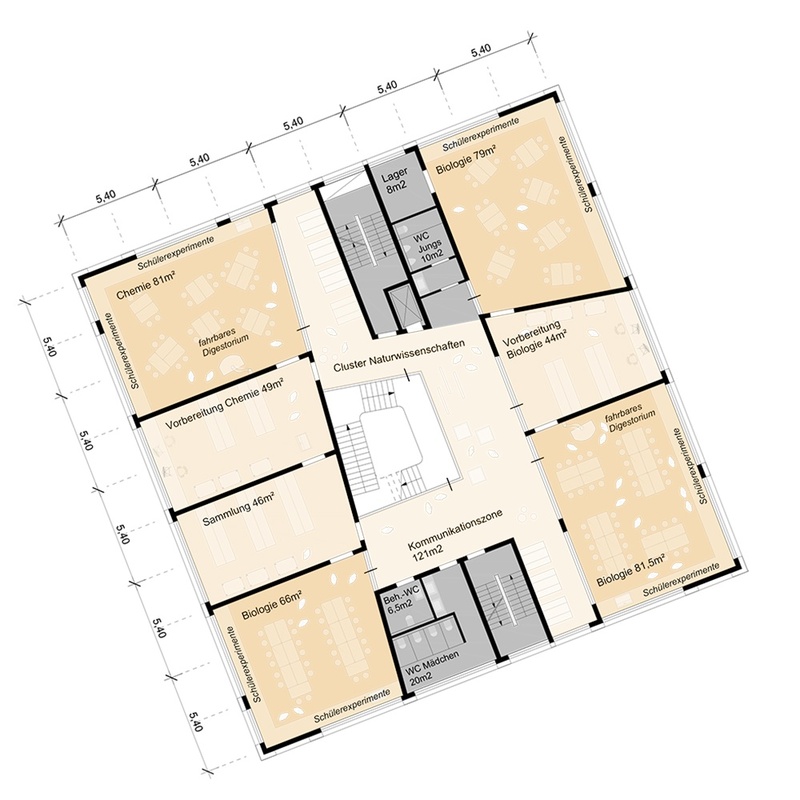 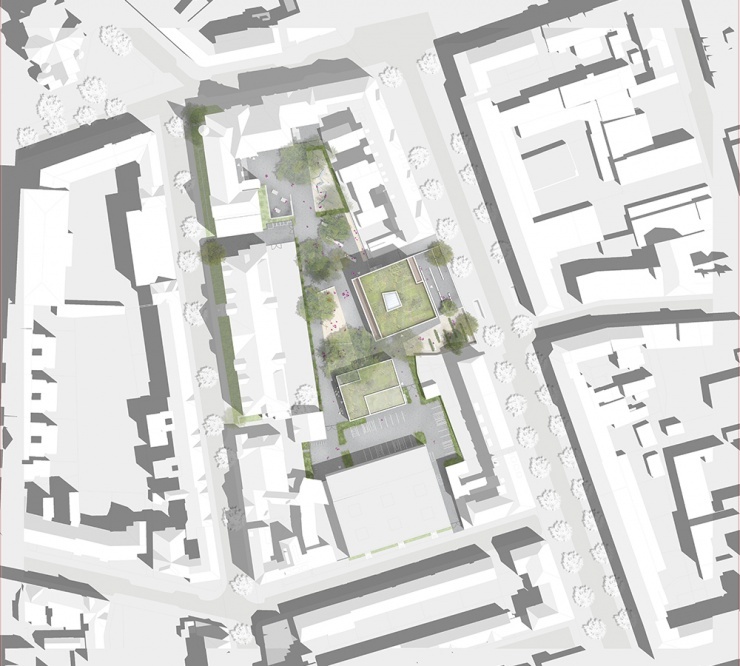 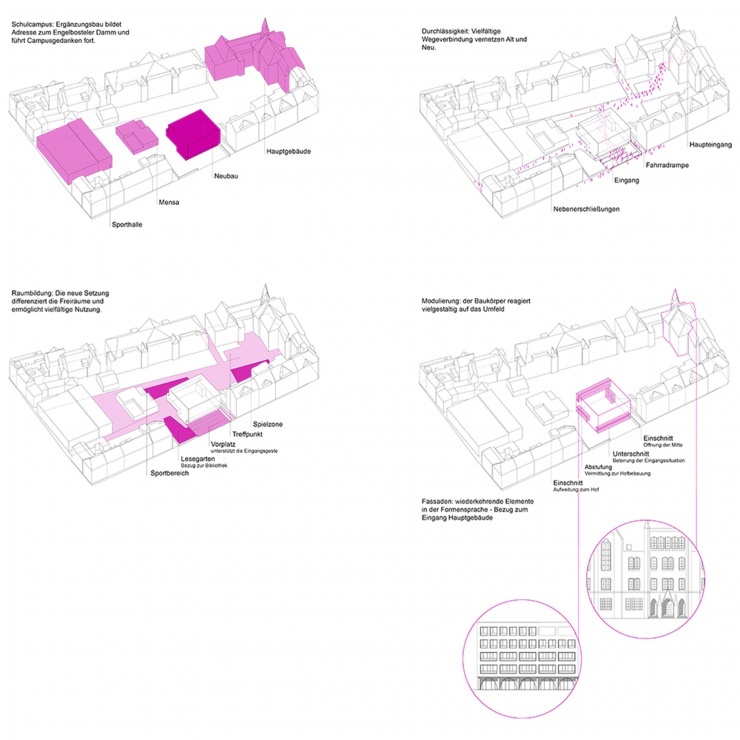 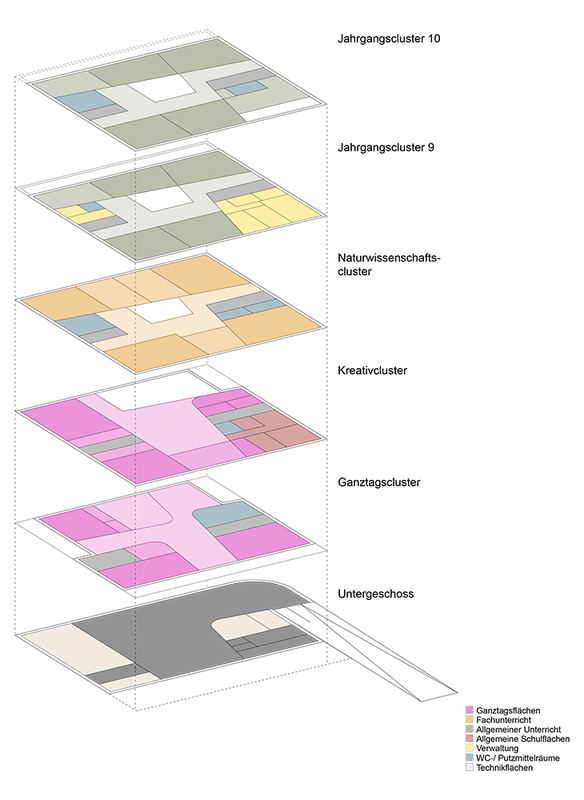 The draft envisages an extension of the Lutherschule through a powerful and independent structure, which fits into the existing block structure and self-confidently positions itself to the Engelbosteler Damm. 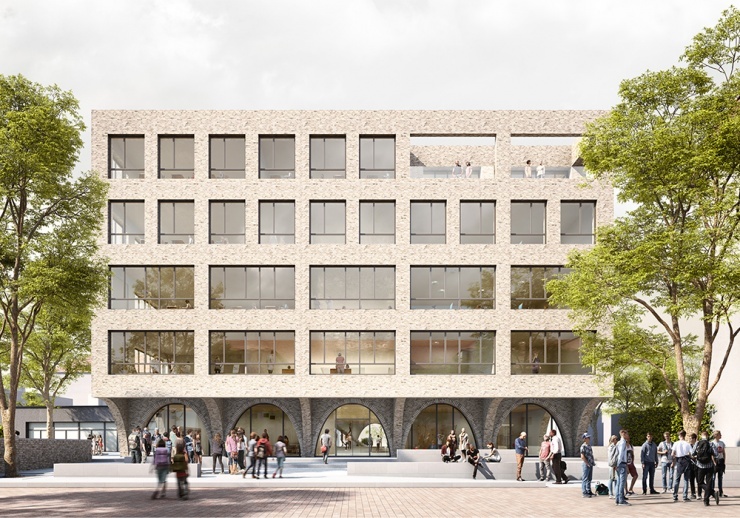 The five-storey building forms in a modern and contemporary architectural language a clearly perceptible address, while radiating openness and transparency. At the same time, the indented ground floor facade with its striking brick arches creates a spacious and covered entrance area. 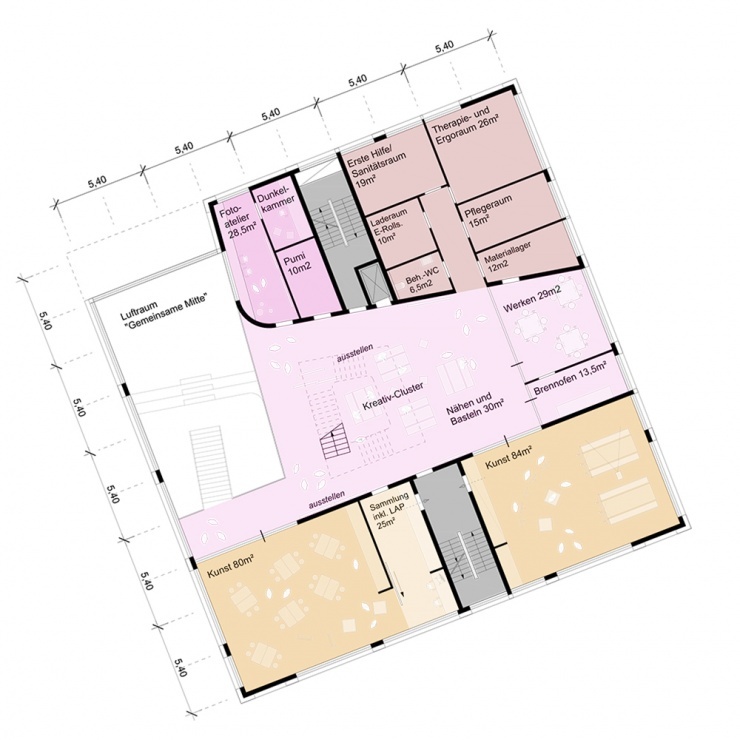 The communal areas are located on the ground floor, the creative areas on the 1st floor, the natural sciences on the 2nd floor and the grade clusters on the two upper floors. As in the floors below, the classrooms are grouped around a central communication zone that creates additional learning venues with niches and open areas.